Nokia's latest smartphone is failing to sell despite critical praise. The Lumia 1020 comes with one of the best cameras ever featured on a smartphone. However, that has not helped sales of the smartphone. According to Baird Research analyst William Power, sales of the smartphone have been “modest at best”. Writing in a research note, Power said that in his research he found that praise for the phone was high, but that consumers weren't biting. “Last week, we visited and contacted AT&T stores to gauge early sales of the Nokia Lumia 1020,” he wrote. “Reps we spoke with were nearly unanimously positive about the device's hardware, especially with the performance of the 41-megapixel camera. Power said that the evidence suggested that the phone's price ($300 in the US) had something to do with the lack of demand. However, he said that the hassle of switching to a new OS – and concerns over whether apps would be available – was the main reason consumers were shunning the device. Only last week, Nokia's vice president responsible for apps publicly lambasted Microsoft for not putting in enough effort to bring more apps to Windows Phone 8. Bryan Biniak said that Nokia was doing everything it could to produce attractive handsets. However, he warned Microsoft that it wasn't doing enough to make the mobile operating system a viable alternative to iOS and Android. “We are releasing new devices frequently and for every new device, if there is an app that somebody cares about that's not there that's a missed opportunity of a sale,” he said. “People rely on applications for their day-to-day life and if you don't have something which I use in my day-to-day life I'm not going to switch because I don't want to compromise the way I live my life just to switch to a phone,” he added. Want more on the Nokia Lumia 1020? Watch our Nokia Lumia 1020 video below. 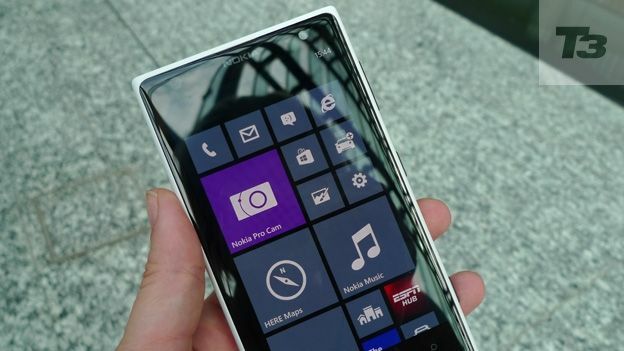 Is the Nokia Lumia 1020's 41-megapixels enough to tempt you to Windows Phone?